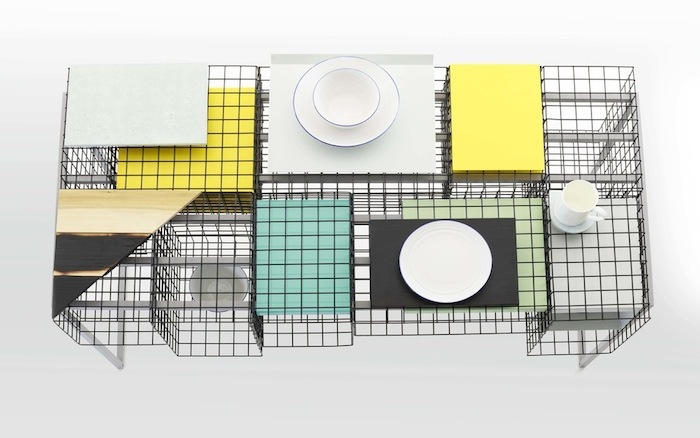 A strange but interesting idea by the designer Ying Chang who designed a table with a grid-like structure, which can also be modified by rotating the mesh boxes. Ying Chang thinks this design “introduces unfamiliar patterns of usability, which require the user to readjust their expectations and invoke encounters to find a way to relate to them in a personal and unique way.”. You can find more photos and even a video at the website (click READ).